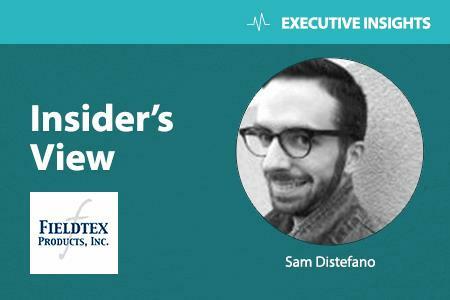 By Sam Distefano, Fieldtex Products, Inc.
An OEM or startup designing a medical vest, holster, or other device utilizing soft materials likely has an idea of the textiles and technology they want to use. While sourcing materials can be an overwhelming process, sourcing the most effective fabric is extremely important during the production of soft-material medical wearables: they need to be affordable enough to mass-produce, suited for tech integration, biocompatible, durable, and crafted from application-specific materials. How expensive will it be to produce “x” number of the product if this textile is used? How easy will it be to integrate technology into my product if this fabric is used? Will this fabric be comfortable enough to wear for its intended duration? Product development often starts with a sketch of how the product should look, and you may even have a textile in mind for the final product. However, cost of mass-producing the product often is not considered during the initial design stages. Working with a fabric consult or prototype-and-design department early on, you may be able to find a more inexpensive alternative that could deliver equal (if not greater) performance without compromising on traits desired in the ideal fabric. For example, an order could be placed for 10,000 units using one type of textile. A consultant may be able to present a fabric choice that offers equal performance, but ends up being $3 cheaper per unit when purchased, cut, and employed in production, saving a total of $30,000. Incorporation of technology into the medical wearable also is a vital consideration. If integrating wires and battery packs into the product, then that manufacturer must prioritize finding a way to create tubing, loops, pockets, pouches, etc. to keep them untangled and accessible. Using fabric that will allow for easy tech organization or removal (if the product will require washing), and will not generate static when friction is applied, will add further comfort for the wearer. Using conductive fabric is a way to avoid dealing with wires, though it may in some cases it may be more difficult to source such a textile for a cut-and-sew project. Biocompatibility — whether the textile can safely touch the wearer without causing irritation or negative side effects — is important to take into account, as well. Sample different textiles and make sure to consider the amount of time the textile will be in direct contact with the skin. Ideally, begin the search for fabrics at trade shows. Specifically, seek out trade shows focusing on smart, advanced, and/or industrial textiles, based on your device’s needs as determined by its intended function and use environments. Expos such as this also provide a great place to network, providing opportunities to shop the product. If attending a trade show isn’t possible, most show websites have easy-to-use member directories for all of their association members. This resource provides an easy way to browse the market from afar during early development of a production plan, and can unearth local (or international) industrial fabric suppliers. The names of textile mills also can be found via a general web search, and some mills are capable of making custom textiles based on your needs. Contract manufacturers (CMs) also provide a way to gain perspective while sourcing product materials. Working with contract manufacturers is a cost-efficient way for small businesses or independent product developers to produce products if they don’t have access to manufacturing systems or the means to produce the product in-house. After researching CMs, visit manufacturers with whom you are considering a partnership, either for a small product test run or mass production. Most CMs stock an extensive selection of textiles, and often they will be able to help you determine the appropriate textile for your application, even they don’t initially have what you are looking for. CMs also have pre-existing relationships with fabric suppliers, and their buyers likely will have access to exactly what you need. The focus of textile wearables in healthcare stems from the need for comfortable, convenient, and functional ways to track, treat, and diagnose conditions. Hill-Rom's mobile, connected Monarch airway clearance system - approved by the FDA in April - is just one example of technology-embedded soft materials technology. Image courtesy of Hill-Rom. Mesh is one of the most widely utilized fabrics in medical wearables. Lightweight, breathable, and as comfortable as it is durable, mesh has consistently performed in the medical industry. Various forms of this textile have deep roots in this field, from surgical to implantable mesh, and this versatile textile is regularly performance tested in athletic wear. Mesh is ideal for both long- and short-term durations of use, and can be used in anything from a cooling vest — intended to regulate the temperature of someone suffering heat stress — to a wearable mesh holster (or sleeve, or vest, etc.) 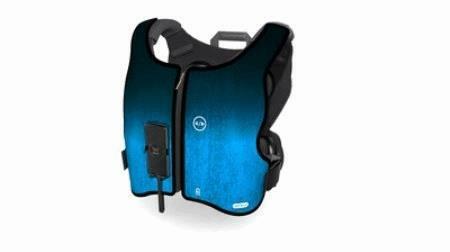 outfitted with sensors to monitor vital signs or track a chronic condition. It is worth noting that using a more durable textile as an outer shell over a mesh interior can enhance the durability of the mesh, particularly if the textile is going to face harsher-than-average conditions. Variations of textiles treated with antibacterial and antimicrobial agents, generally used in hospital bedsheets and doctor garments (i.e., lab coats, surgical scrubs), are ideal for use in wearables that monitor the healing process of open wounds, burns, or other topical injuries. Additionally, “smart” wound dressings, equipped with tiny sensors to monitor issues that may deter the healing process, such as clotting and infection, also are in development. In terms of larger injuries, the use of a mesh sleeve on a severely injured limb could provide medical professionals with insight into the effects of the injury on the body. As we venture further into the age of smart textiles, we see more functionality, opportunity, and innovation in the soft-material wearables market than ever before. Textiles equipped with conductive thread, once at the forefront of this new generation of textiles, are advancing even further through nanotechnology (people throw around the terms “nanotextiles” and “nanofabrics” more than you’d expect). Still, utilization of smart textiles has repercussions: if your CM is a cut-and-sew manufacturer, you have to be sure that cutting the raw smart textile material will not damage the associated technology. While these textiles generally are more difficult to source due to their consistent, ongoing evolution, smart textiles are moving closer to mass-assimilation in the healthcare wearables field. Sourcing fabrics can be an overwhelming task for a startup or even a large OEM, especially while developers also juggle business management, promotion, and capital. Fortunately, there are easy ways to source affordable and effective fabrics for just about any application, as long as you know where — and how — to look. Sam Distefano is a Marketing Associate and Graphic Designer at Fieldtex Products, Inc., a private family owned company that designs, prototypes, and mass-produces soft-sided carrying cases for medical and military markets and special equipment handling, as well as wearable medical garments such as vests, pouches, holsters, and more. He is an avid reader of smart textile innovations and manufacturing news.